The Egyptian pound is the currency of Egypt. It is divided into 100 piastres, or ersh, or 1,000 milliemes. 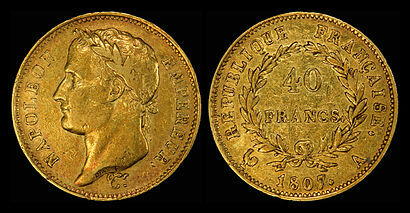 The term écu or crown may refer to one of several French coins. The first écu was a gold coin minted during the reign of Louis IX of France, in 1266. Écu means shield, and the coin was so called because its design included the coat of arms of France. The word is related to scudo and escudo. The value of the écu varied considerably over time, and silver coins were also introduced. The dirham is the currency of Morocco. It is issued by the Bank Al-Maghrib, the central bank of Morocco. 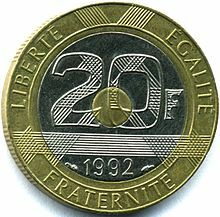 It is subdivided into 100 centimes. The Dutch guilder or fl. was the currency of the Netherlands from the 17th century until 2002, when it was replaced by the euro. 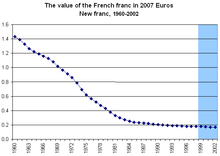 Between 1999 and 2002, the guilder was officially a "national subunit" of the euro. However, physical payments could only be made in guilder, as no euro coins or banknotes were available. The Netherlands Antillean guilder is still in use in Curaçao and Sint Maarten, but this currency is distinct from the Dutch guilder. In 2004, the Surinamese guilder was replaced by the Surinamese dollar. The franc was the currency of Tunisia between 1891 and 1958. 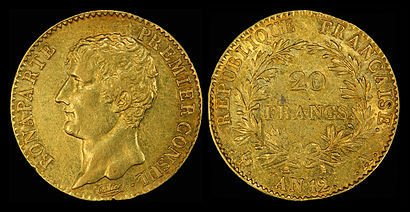 It was divided into 100 centimes (صنتيم) and was equivalent to the French franc. 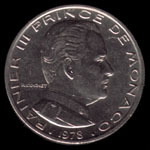 The franc was the official currency of the Principality of Monaco until 1995, when it changed to the French franc. 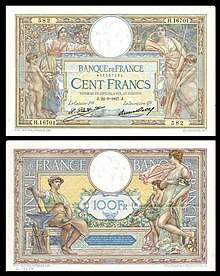 The franc was subdivided into 100 centimes or 10 décimes. 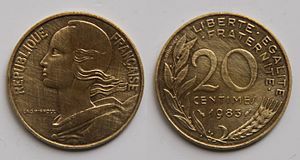 The Monégasque franc circulated alongside the French franc with the same value. 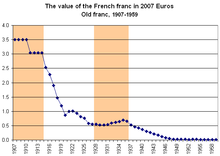 Like the French franc, the Monégasque franc was revalued in 1960 at a rate of 100 old francs = 1 new franc. 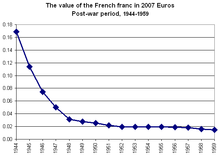 The official euro-to-franc exchange rate was MCF 6.55957 to EUR 1.